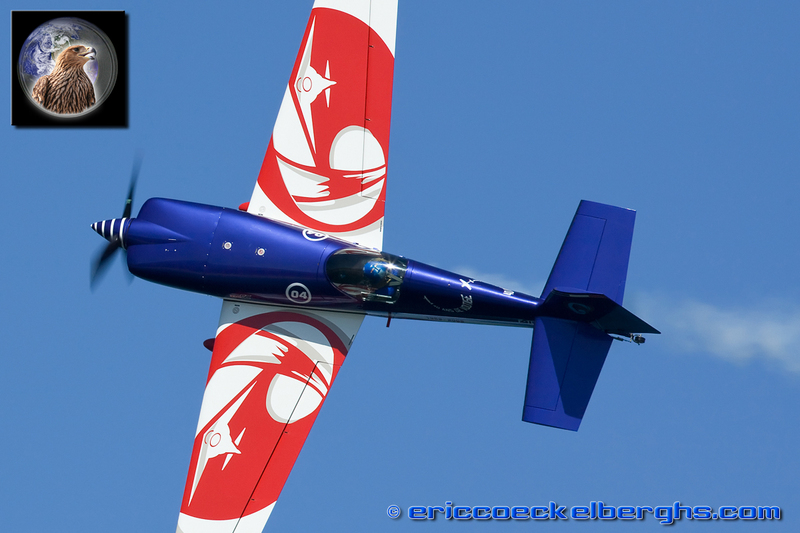 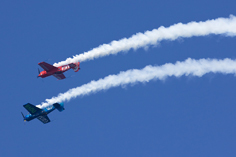 Seaside airshows are growing very rapidly in popularity, very often these venues are really big airshows; free to the public and organised in the holidayseason to entertain all the nearby tourists. 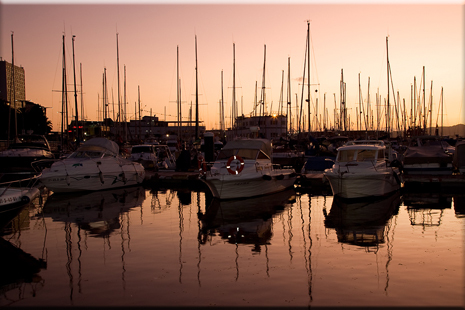 The most wellkown seaside shows you can find in the UK, France and Italy....but that's actually not true. 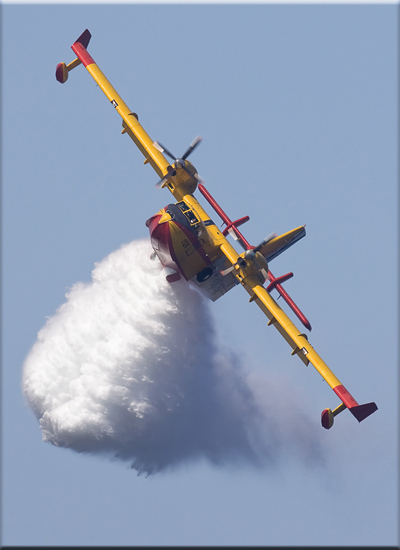 Spain is not yet known as a real 'airshow country' , nor does it have a big reputation in this field. 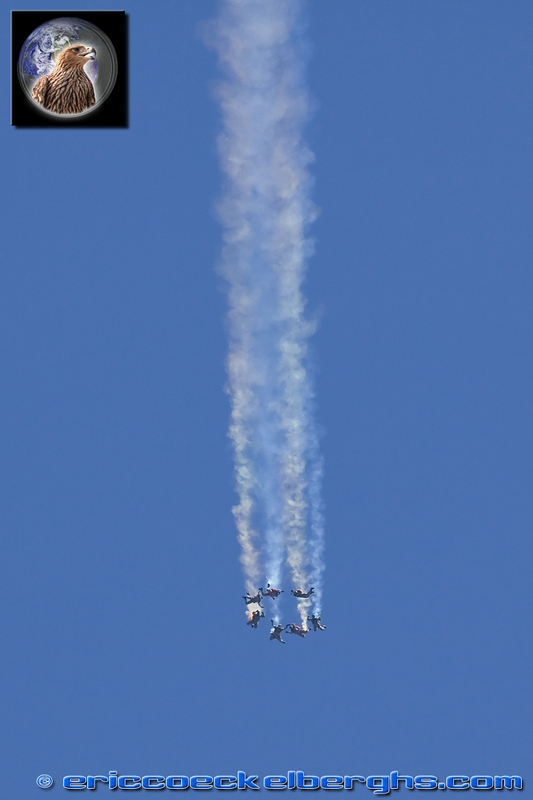 Well....wrong. 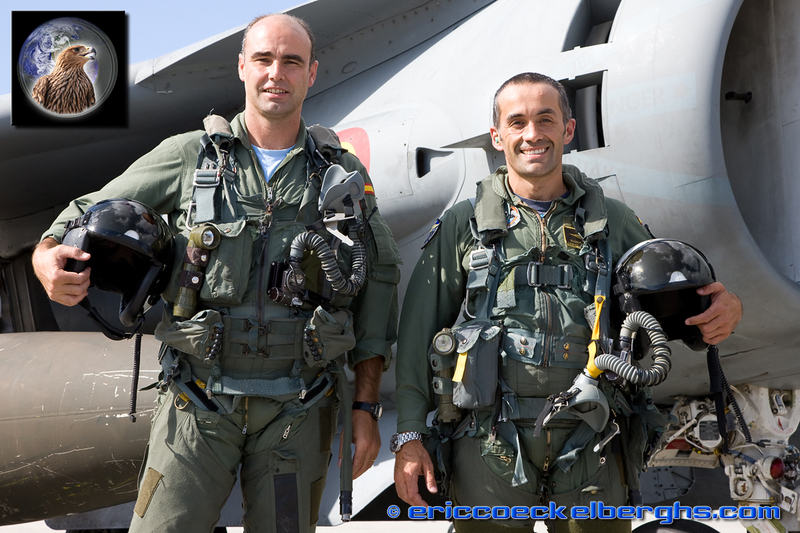 In 2006 the Spanish Airforce organised a major show called 'Aire 06', attracting in two days over one million spectators. 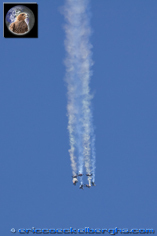 But so far, it was a 'one off' airshow. 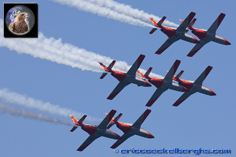 However, on the east coast of Spain, in the enchanting town of Vigo you can discover a seaside airshow that can easely match any excisting show in Europe....It's called the Festival Aéreo de Vigo! 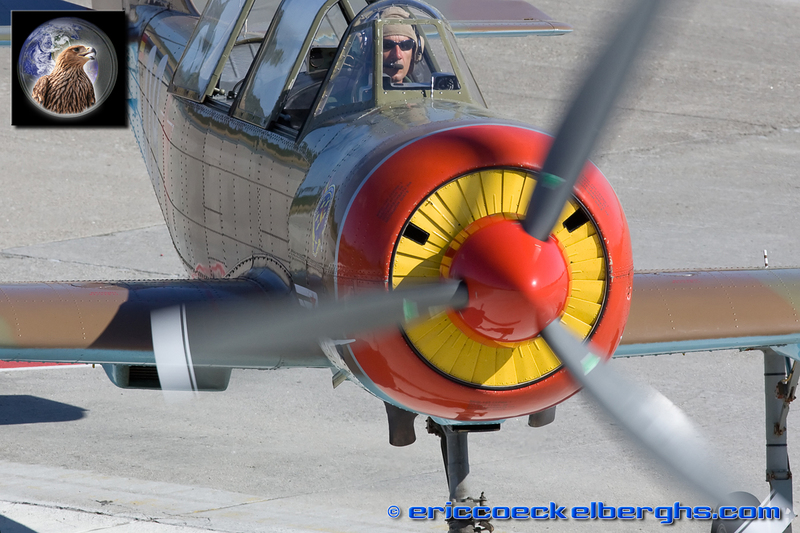 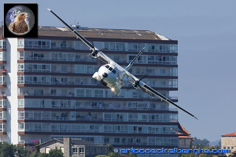 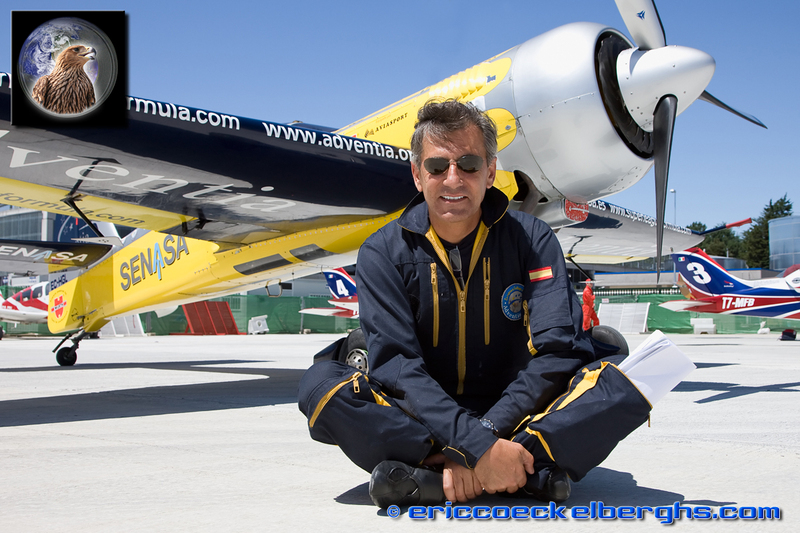 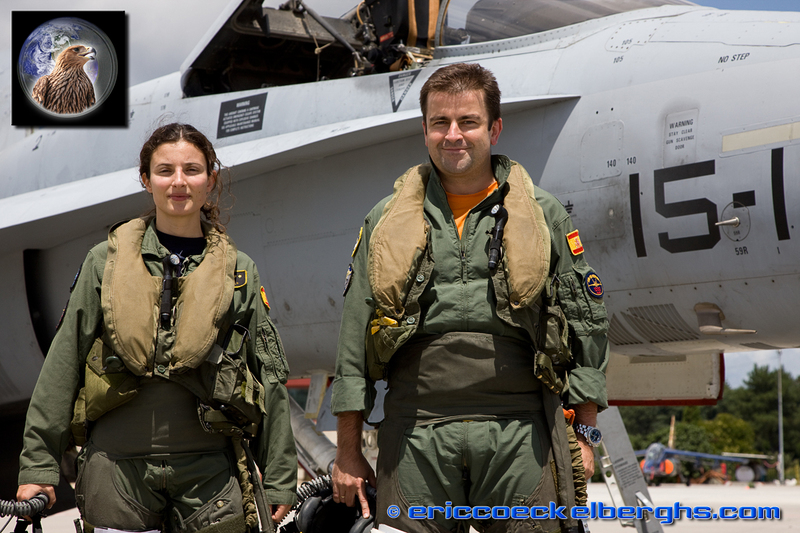 Organisor Pablo Gonzalez invited me to see his Airshow for myself and produce the photowork for the 2009 edition! 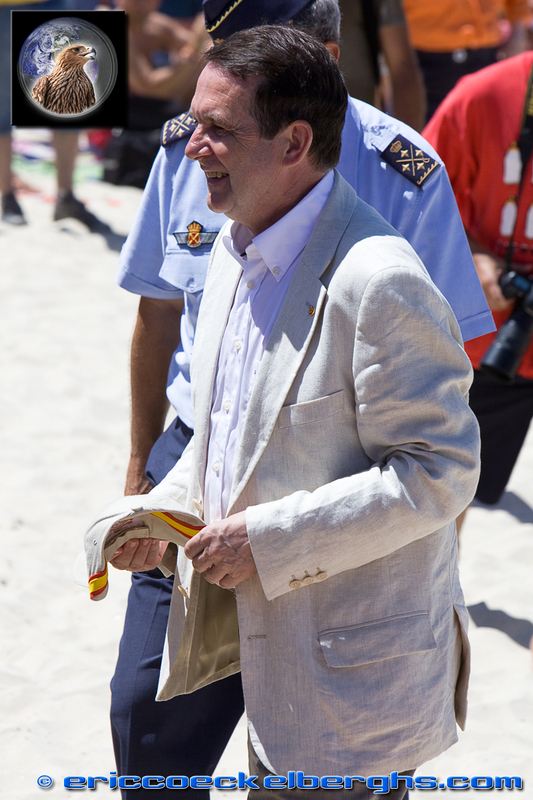 What a surprise it was!! 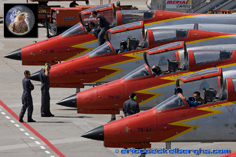 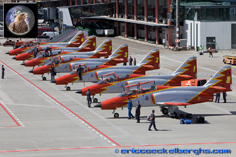 From Thursday onwards , the little ramp of Vigo Airport will fill up with participants: the first being the pride of the Spanish Airforce, the Aguilas, and their friends from Portugal, Asas de Portugal. The airshow is supported by the entire Spanish aviation community, so lots of friends will meet each other in Vigo. 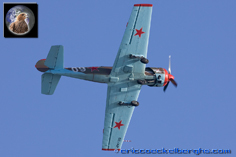 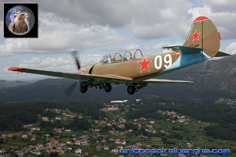 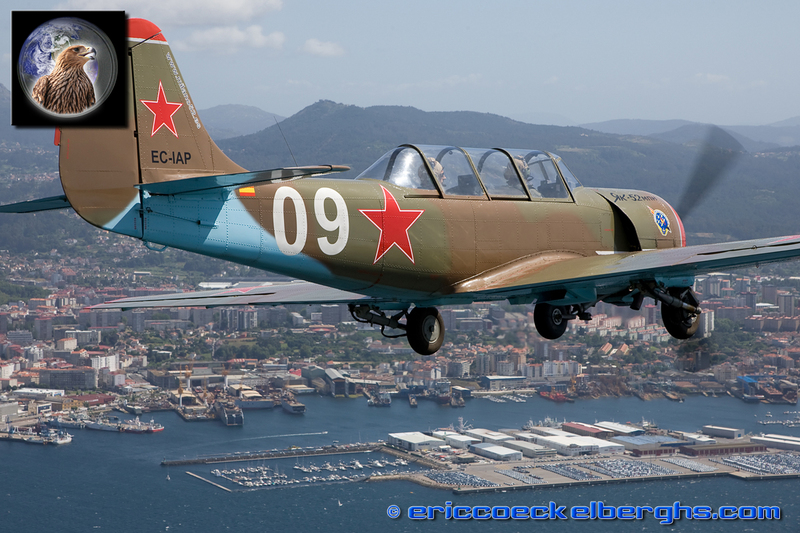 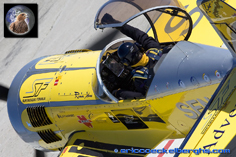 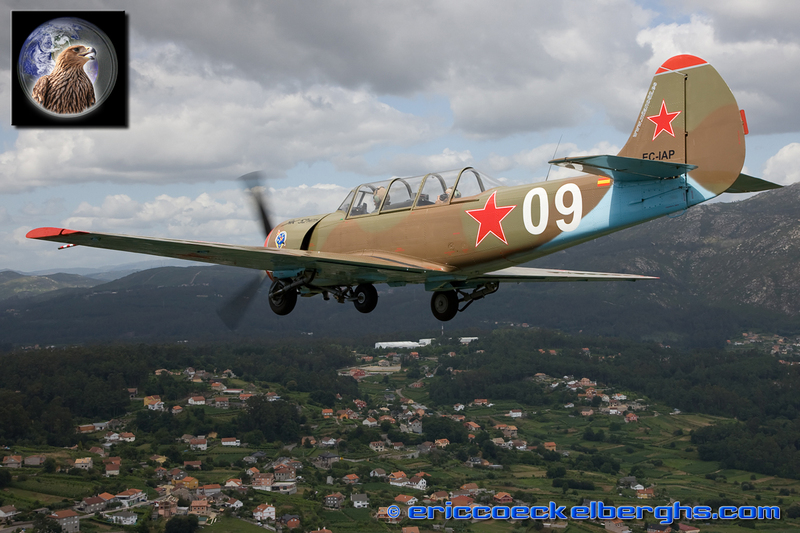 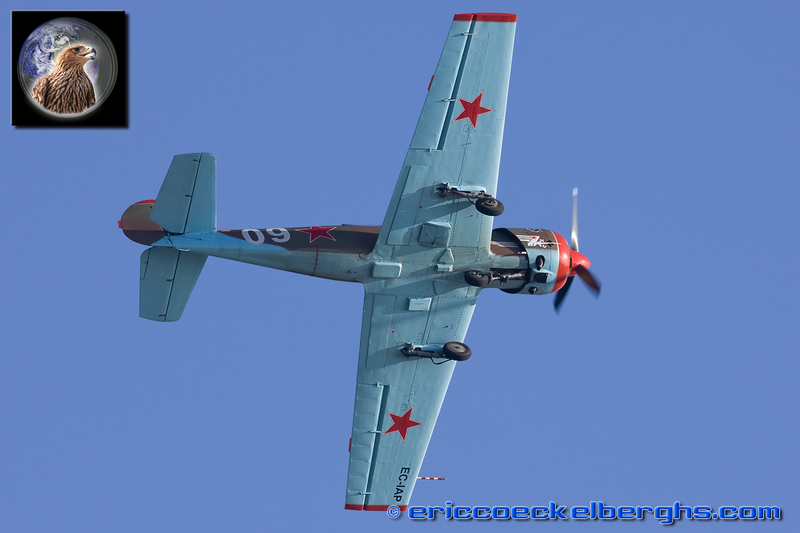 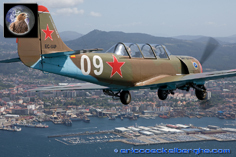 Ramon Alonso is worldfamous flying his aerobatics in his distinctive yellow Su-26, and also the guys from Aerobatics unlimited fly as a duo-team in this powerfull Russian aircraft. 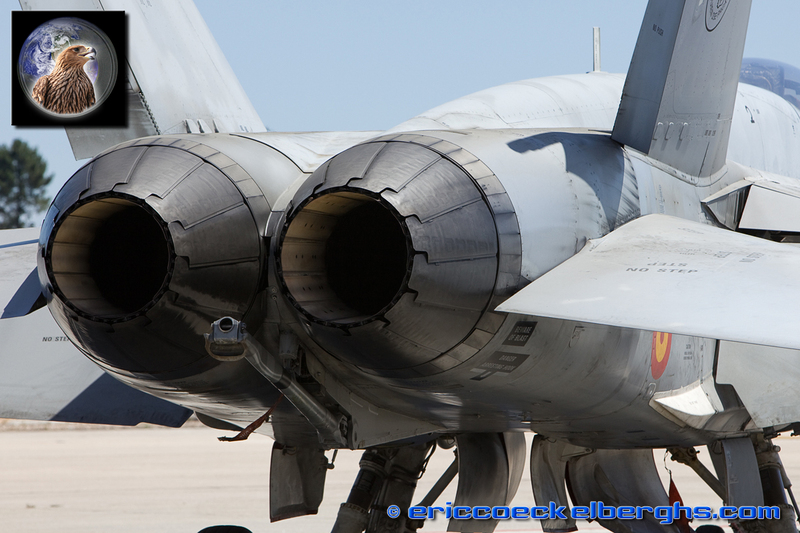 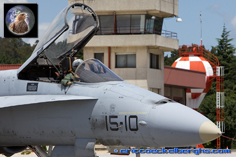 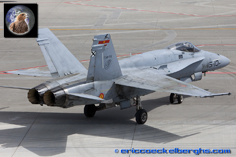 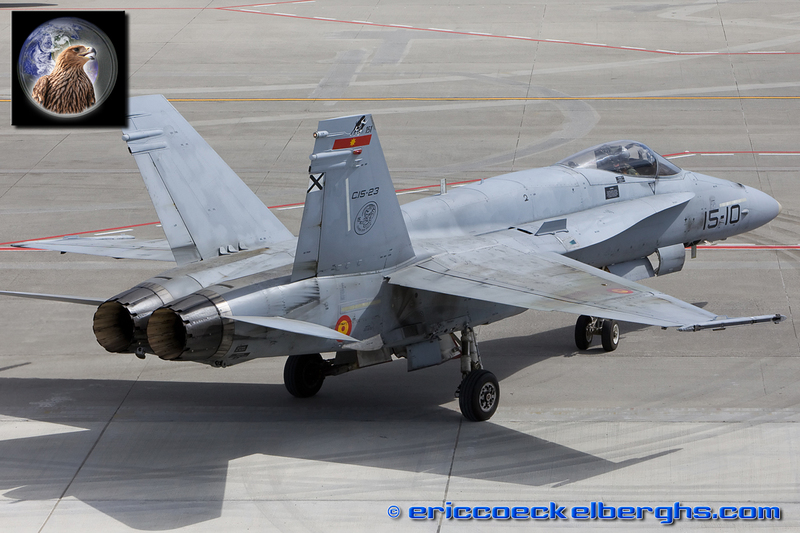 The Spanish Airforce also send the EF-18. 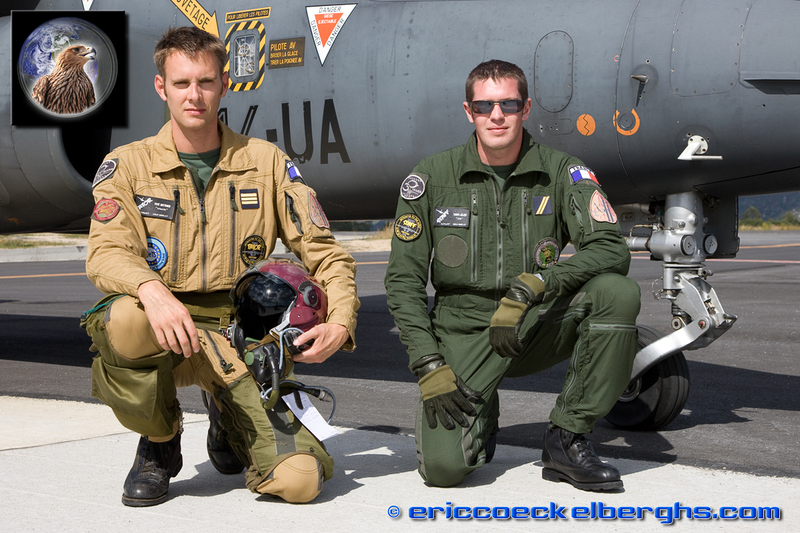 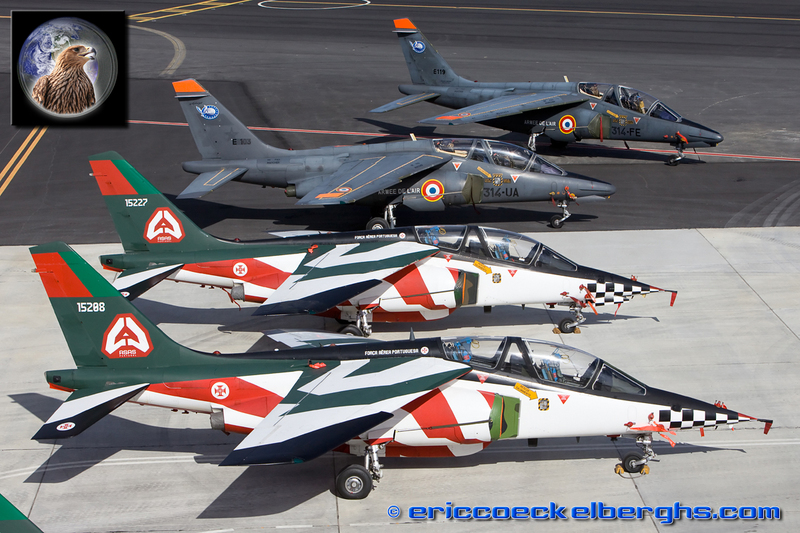 The French Airforce participated with the Alpha Jet, and the guys from the Milano Yak team are regular guests here. 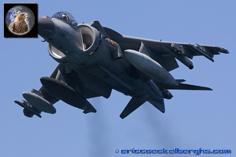 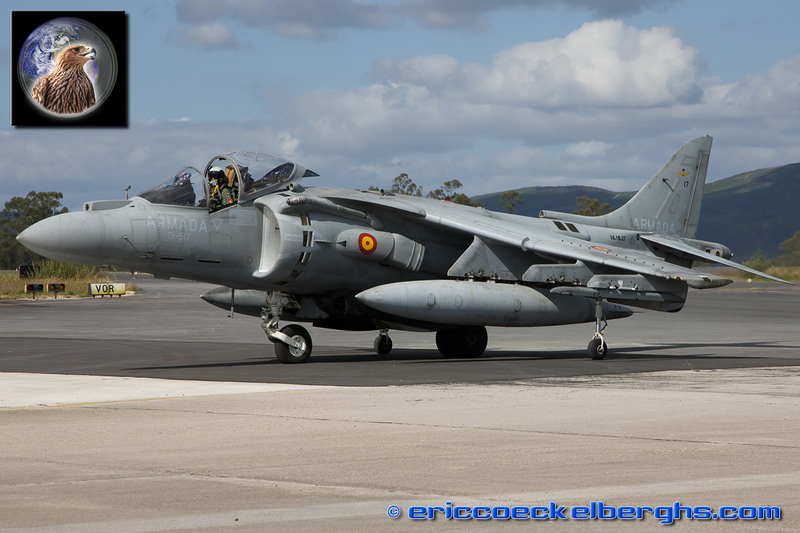 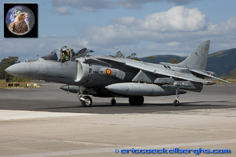 Of course the Spanish Navy was also present with the very appreciated Harrier, always a publics favourite! 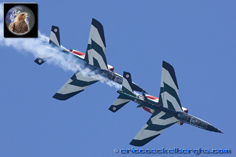 I was lucky again to be invited to fly with the Milano yaks during their rehearsal flight. 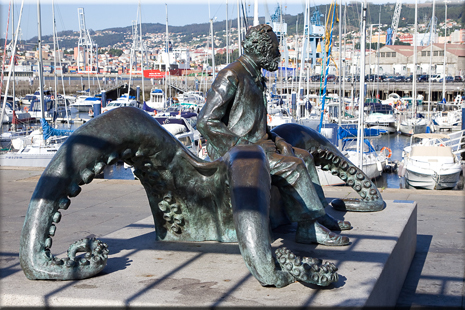 Nothing beats the view from above, and Vigo is for sure a fantastic town. 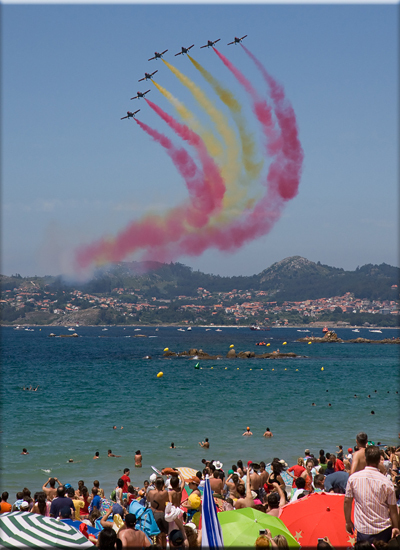 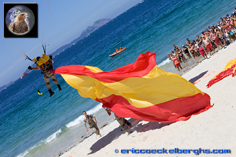 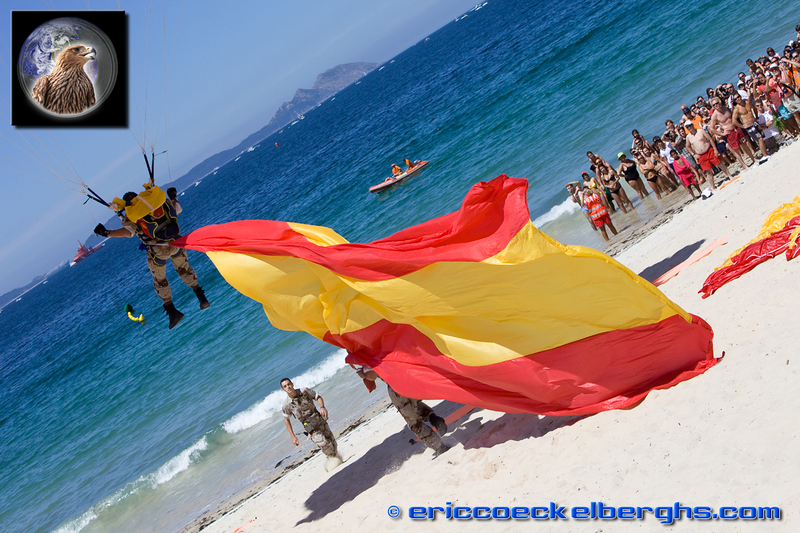 The location of the airshow is their most famous beach...Samil beach. 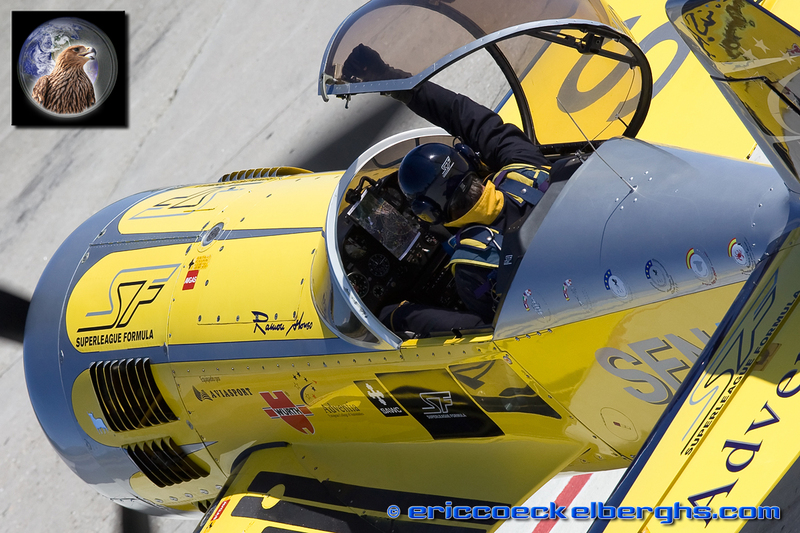 On sunday it will be packed with spectators. 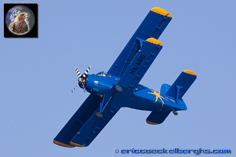 All rehearsal flights take place on Friday and Saturday. 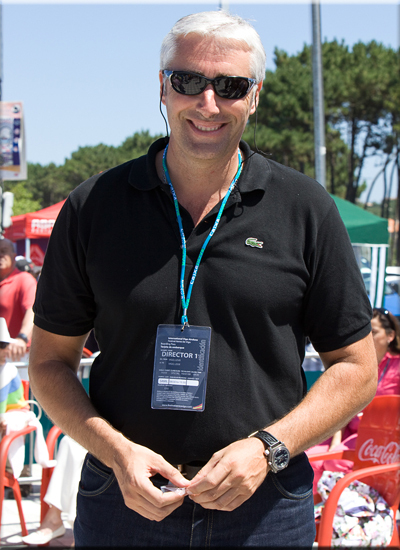 The weather was as you expect in Spain...just awesome; warm and a beautifull blue sky. Very much like in Italy, so the guys from the Pioneer Team must have felt rightaway at home. 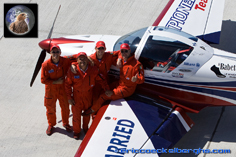 The flew all the way with their little Pioneer aircraft from Italy to Vigo, an 8 hour trip! The airshow is just one day, but what a show it is! 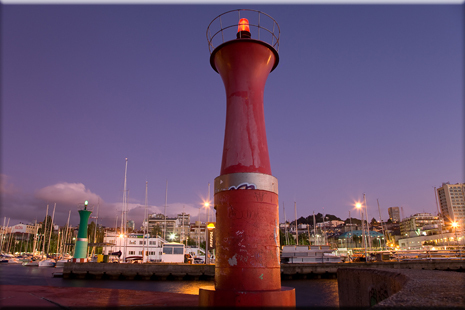 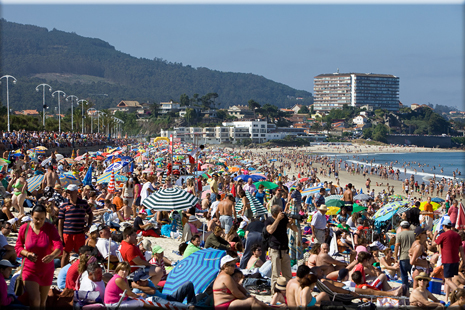 Location of the venue is the famous Samil Beach, ideally to accommodate a very big mass of visitors. 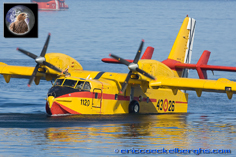 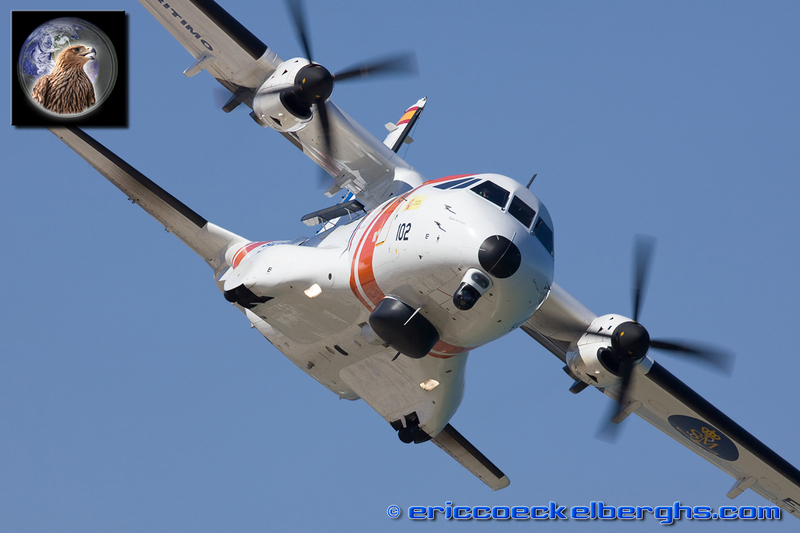 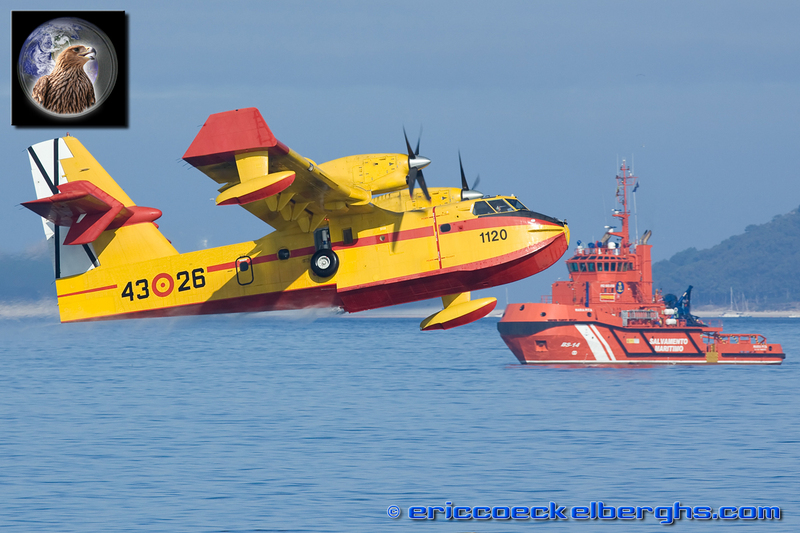 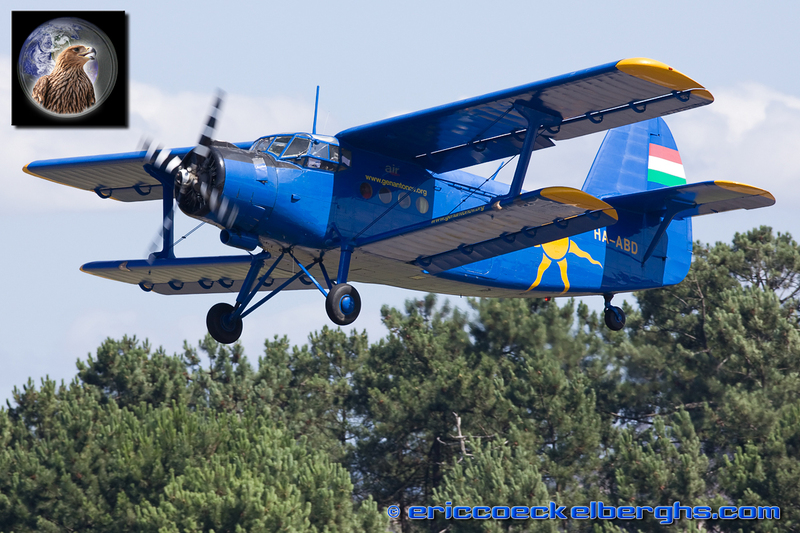 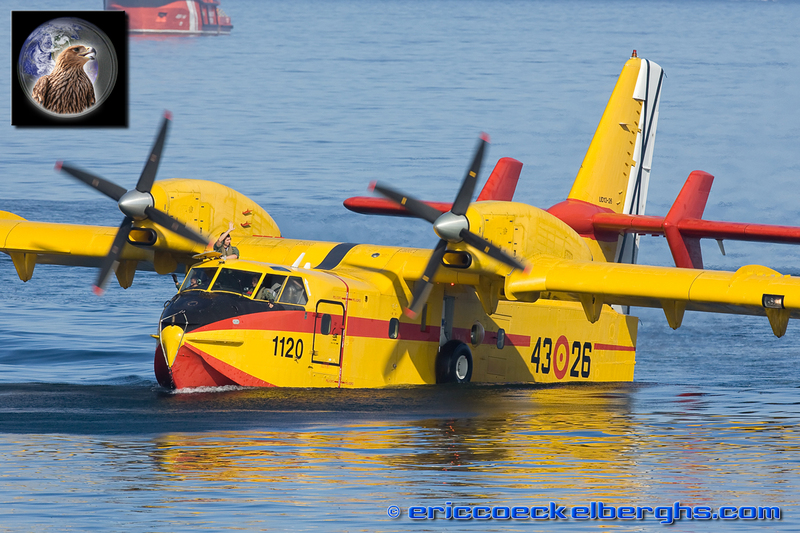 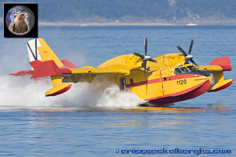 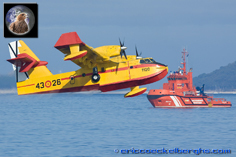 The aereal displays started early with beautifull presentations of the Antonov 2 and the popular waterdrop by the Canadair during the wellknown forestfire display. 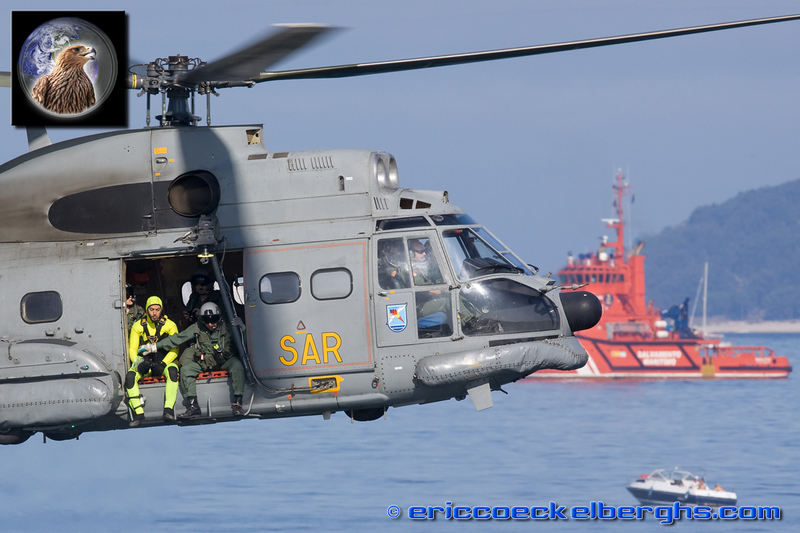 The helicopter displays are always a big succes with the many spectators, as they put on a very nice show, and they will fly close to the public as they hover to demostrate the 'search & rescue' capabilities. 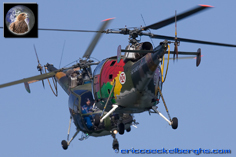 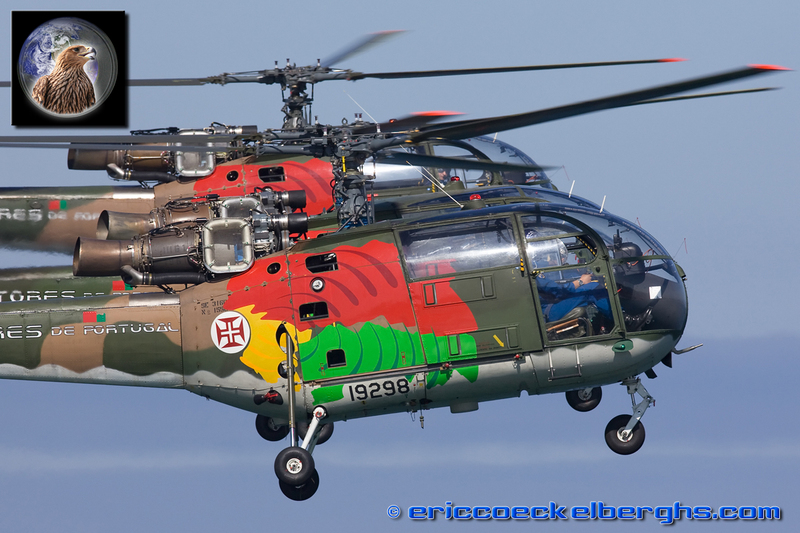 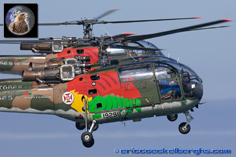 From Portugal the 'Rotores de Portugal' were just another star in the show ; great luck to see them, as their Alouette III helicopters might go soon out of service! 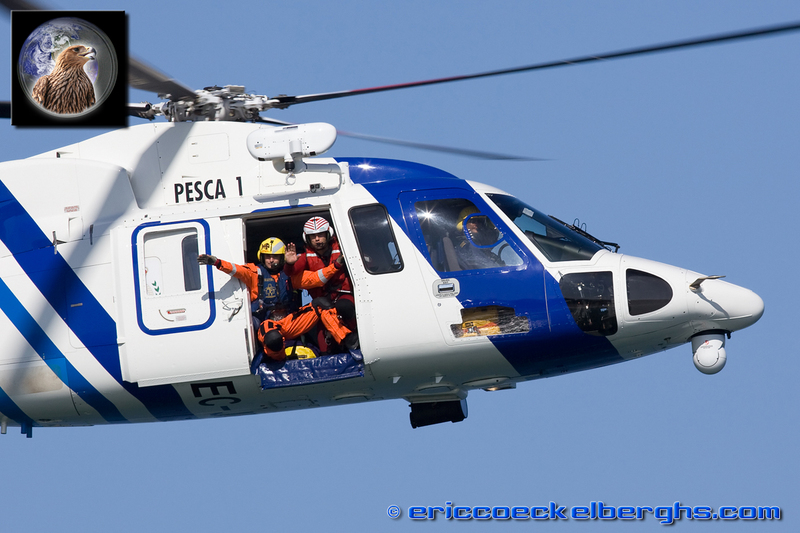 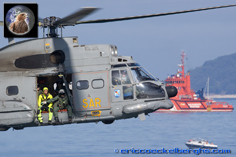 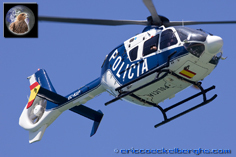 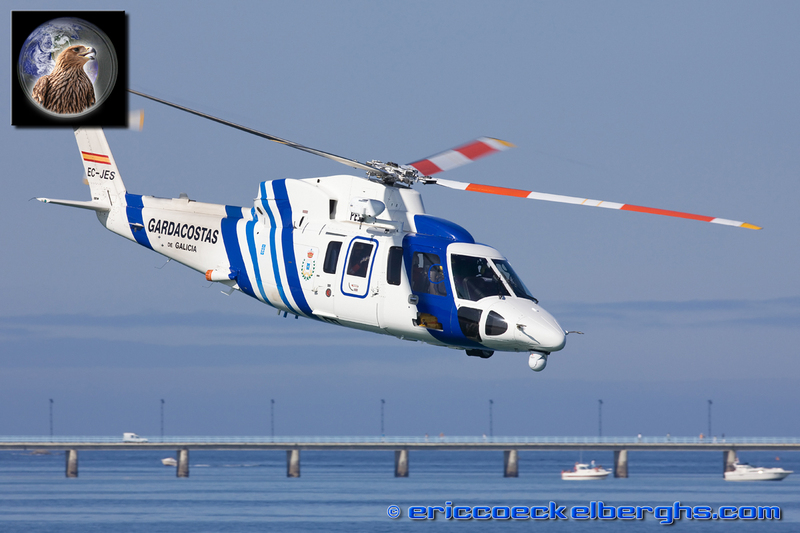 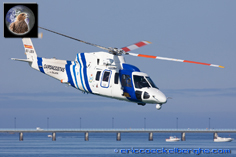 The 'Pesca 1' is a Vigo based SAR Sikorsky helicopter with a fantastic agility and speed. 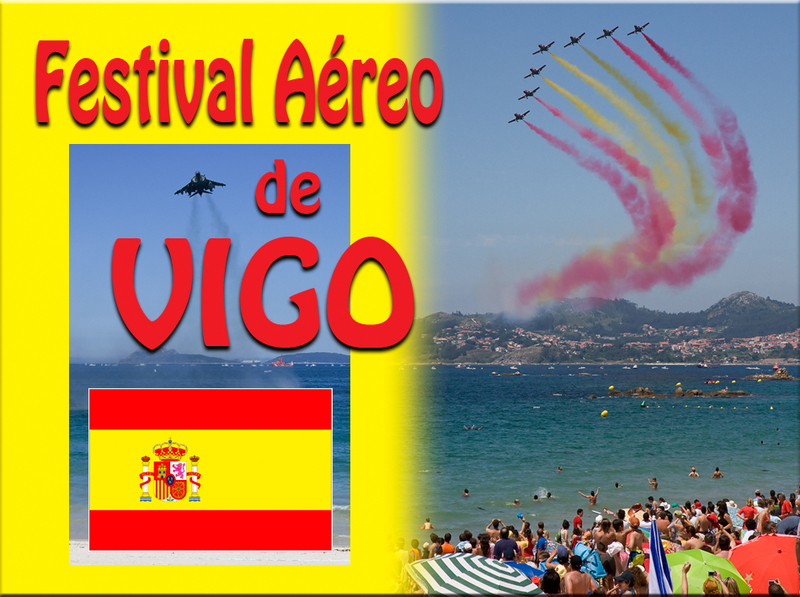 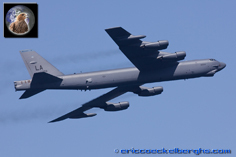 The Festival Aereo de Vigo is also one of the few European airshow that enjoys a USAF participation, and this time the Americans even send two aircraft. 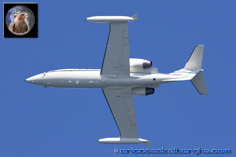 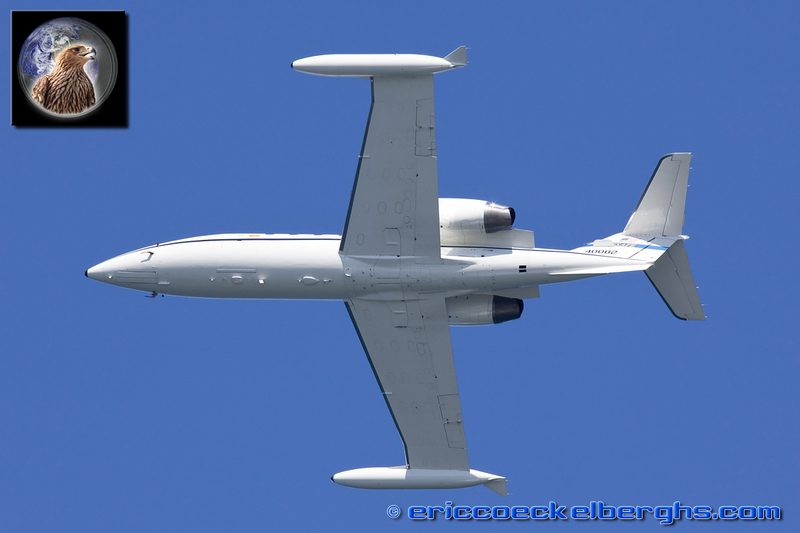 A rare appearance of the Learjet could be enjoyed over Samil Beach! 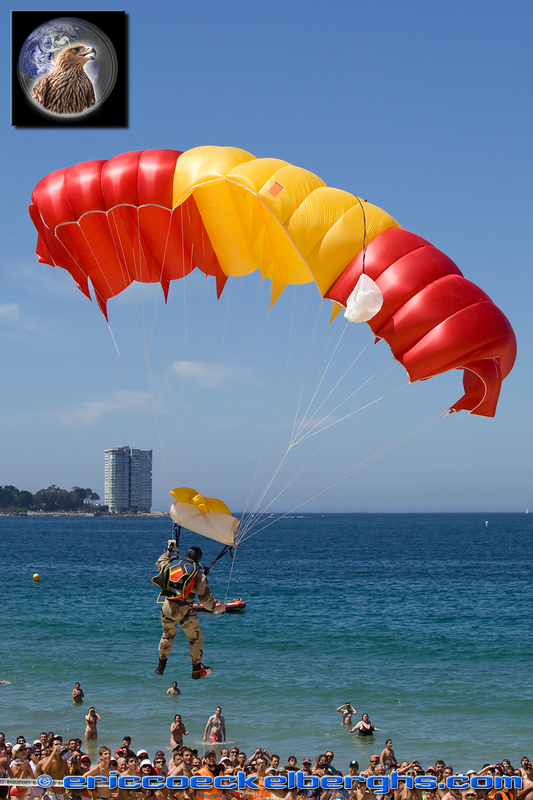 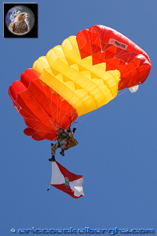 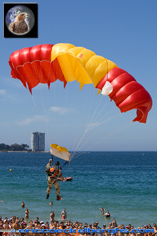 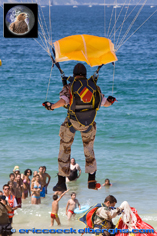 Skydivers are another spectacular item, and Vigo had plenty of them. 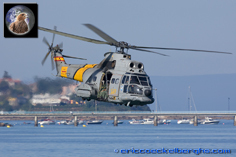 From the crazy Red Bull flying men jumping out of the Antonov 2, to the national team of the Spanish Airforce departing with smoke from the CASA, greeted and applauded on the ground by the public and the Mayor. 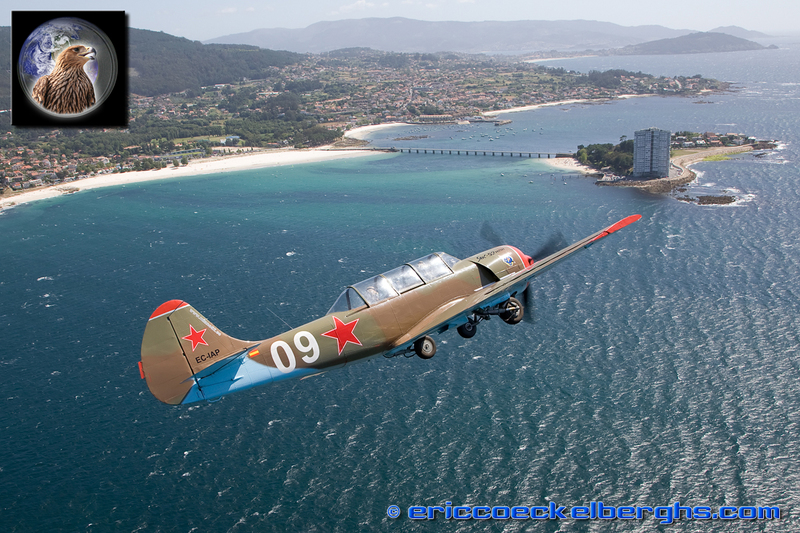 If you still think the city of Vigo is host to a small airshow, have a look at these photos....425.000 happy people!!! 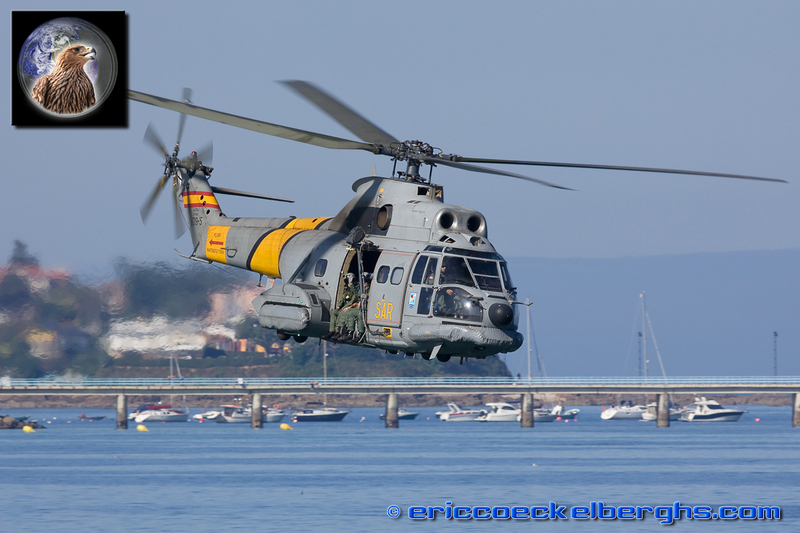 It was incredible to see, the airshow is still somehow undiscovered by many Airforces and visitors from outside Spain and Portugal, but that might rapidly chance in the near future! 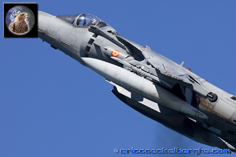 The Spanish Harrier remains popular as ever, but also the smaller acts like the Su-26's and the French Airforce Extra 300 were displays enjoyed by the mass public on the beach. 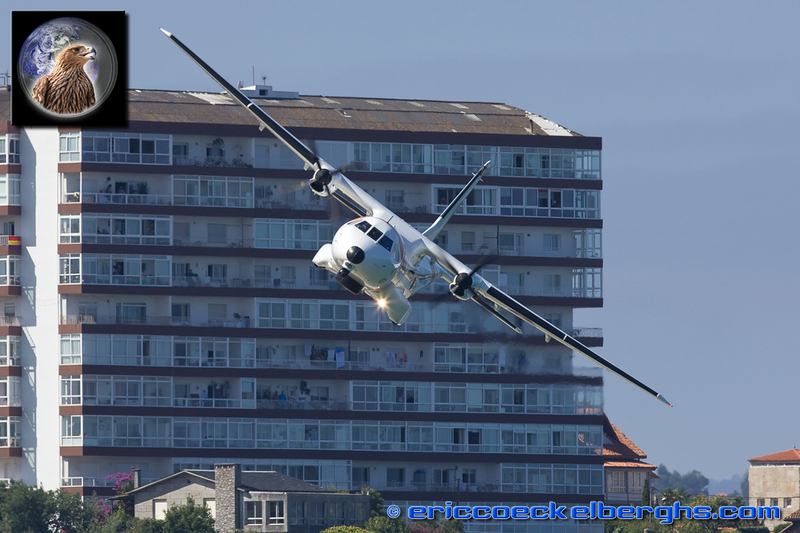 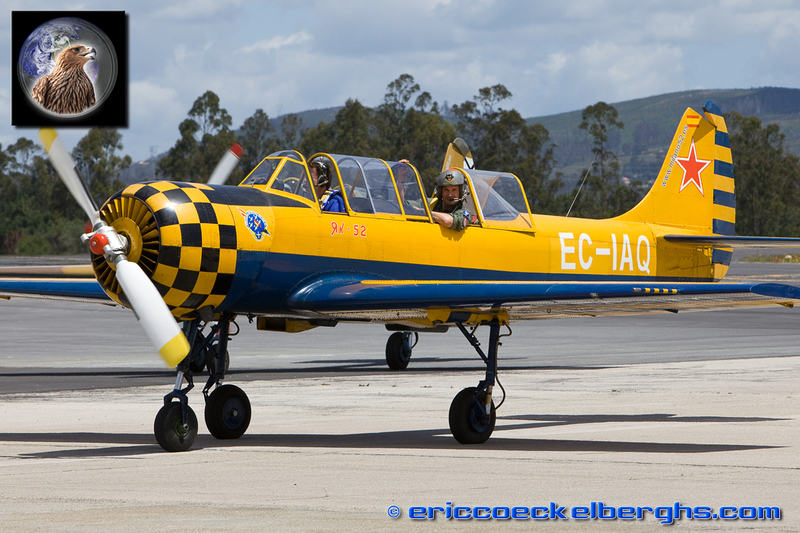 CASA, the national aircraft constructor, was present as well and of course they presented one of their latest models; only to be seen here in Vigo! 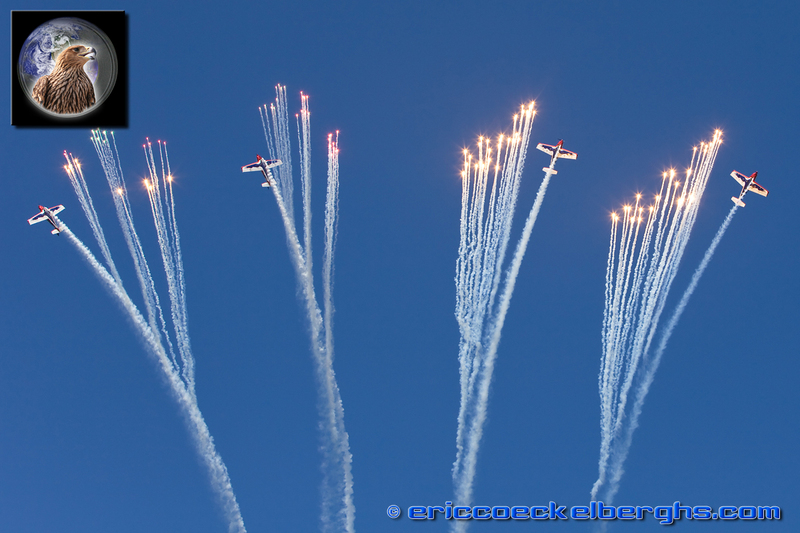 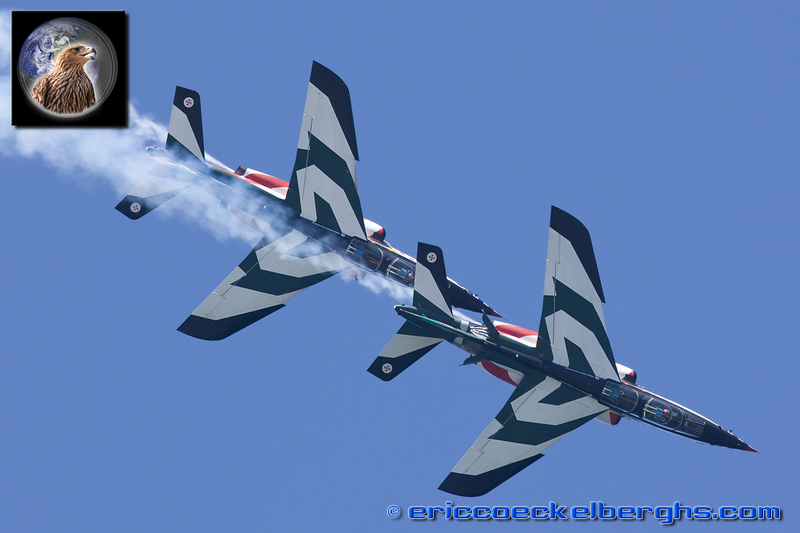 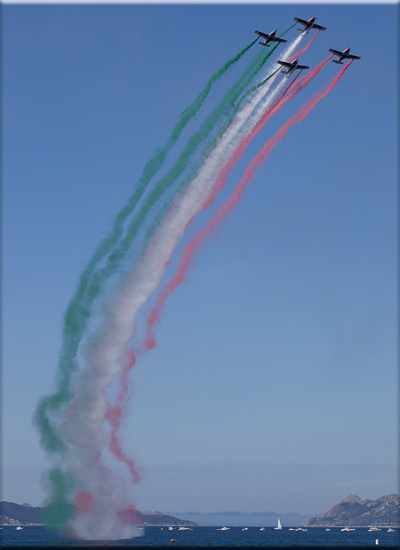 The Pioneer Team of Italy was definitely one of the most popular airshowacts of the entire day. 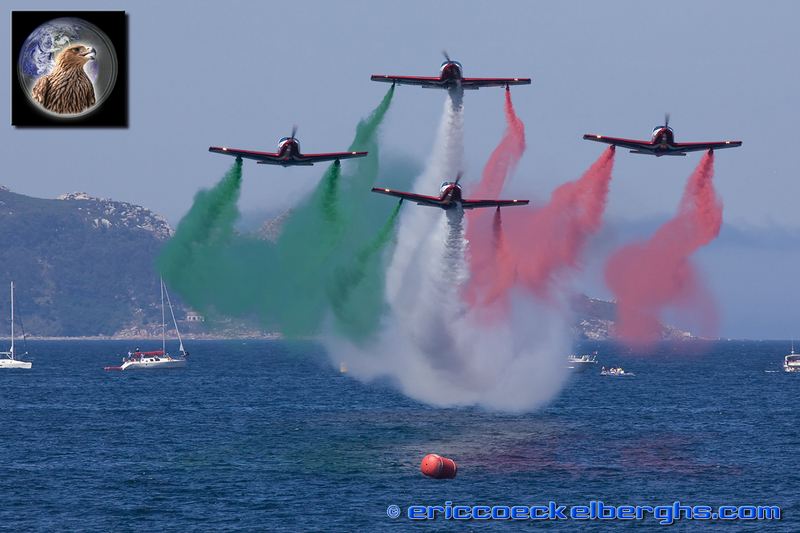 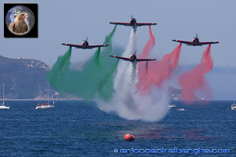 The 'little Frecce Tricolori' gave a superb display with many beautifull surprises for the Spanish public, the flare-break and the final pass with the smoke in the colours of Italy created a giant masswave on the beach. 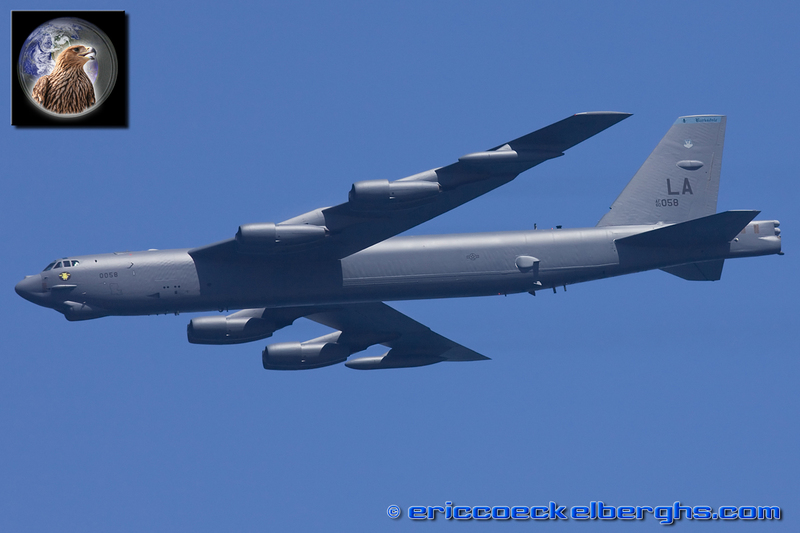 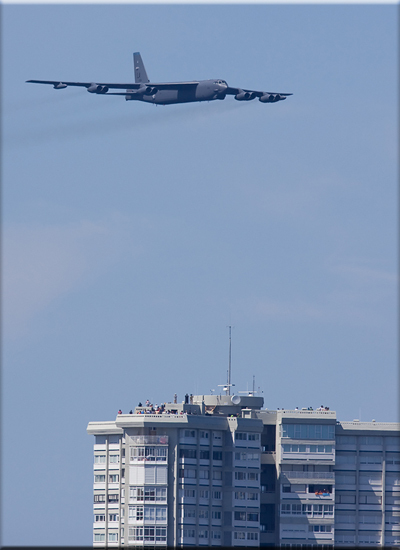 Vigo was also one of the few European airshow this season attracting USAF participation, and not only just the Learjet....to see the might B-52 making a few flyby's was a unique and fantastic premier! 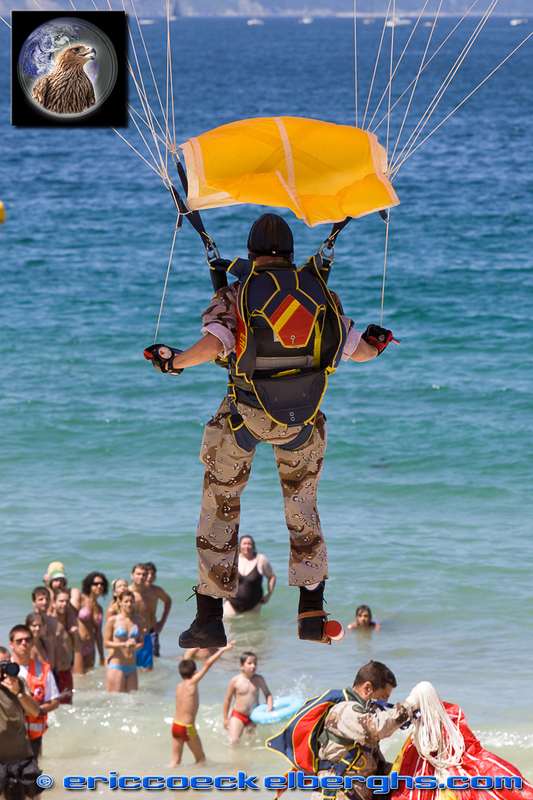 Save the best for last! 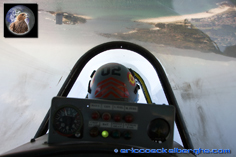 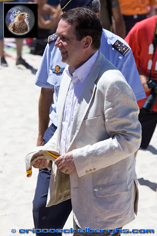 Ramon Alonso was escorted to Samil Beach by an exclusive formation of the two Alpha Jets of Asas de Portugal. 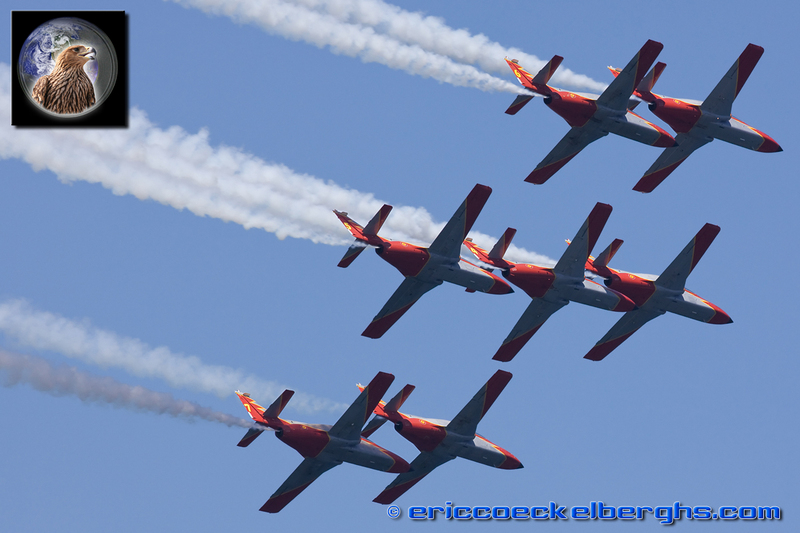 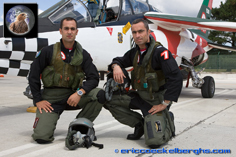 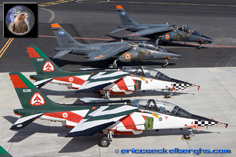 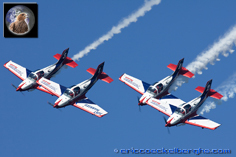 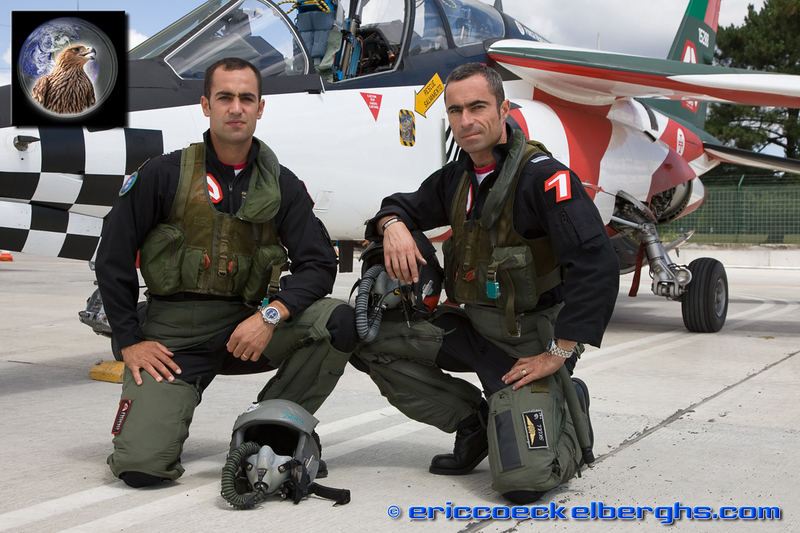 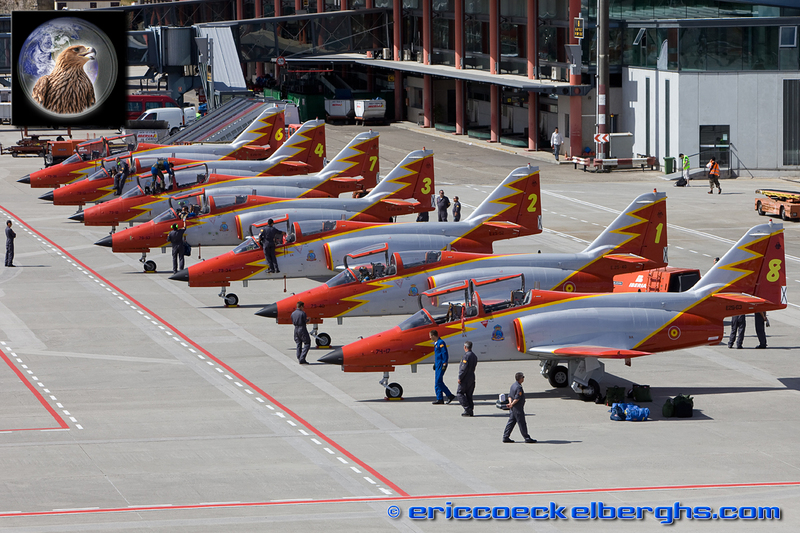 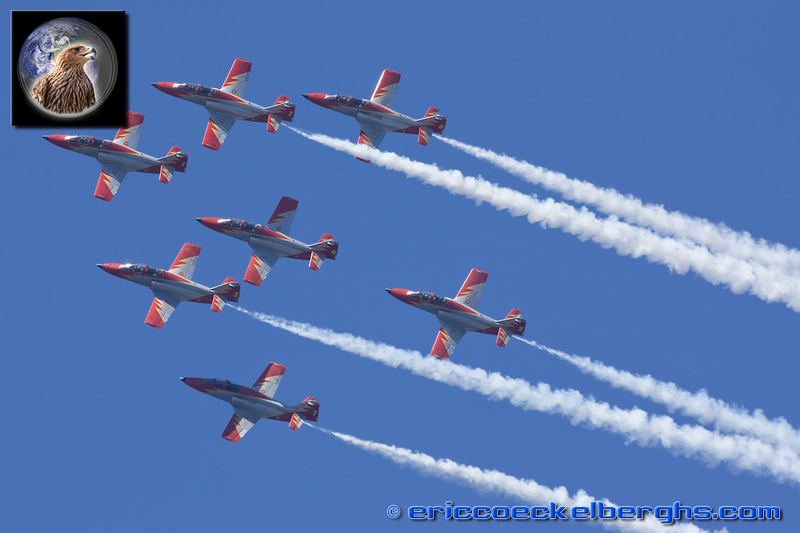 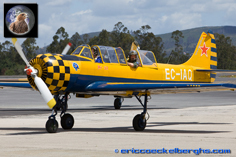 Altough the Portugese team only flies two jets, they are for sure one of the best formationflying teams in Europe! 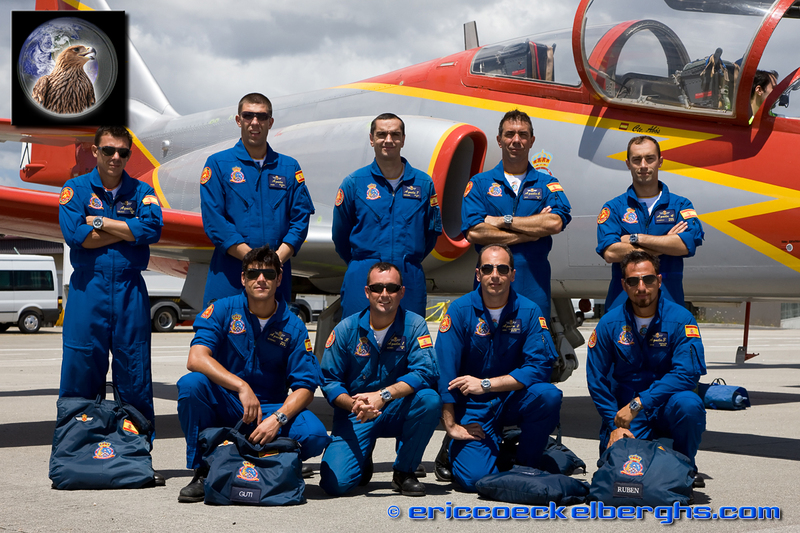 And of course the big amigos of all the Spanish people, the national aerobatic team Aguila's had the honour to close the incredible flying program. 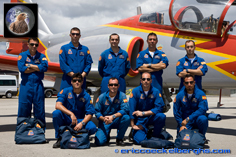 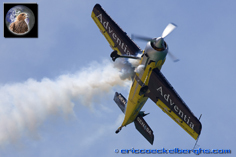 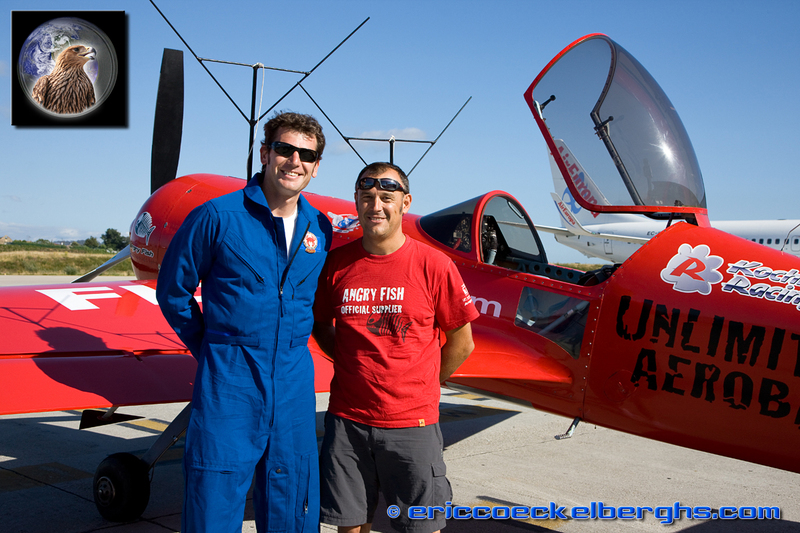 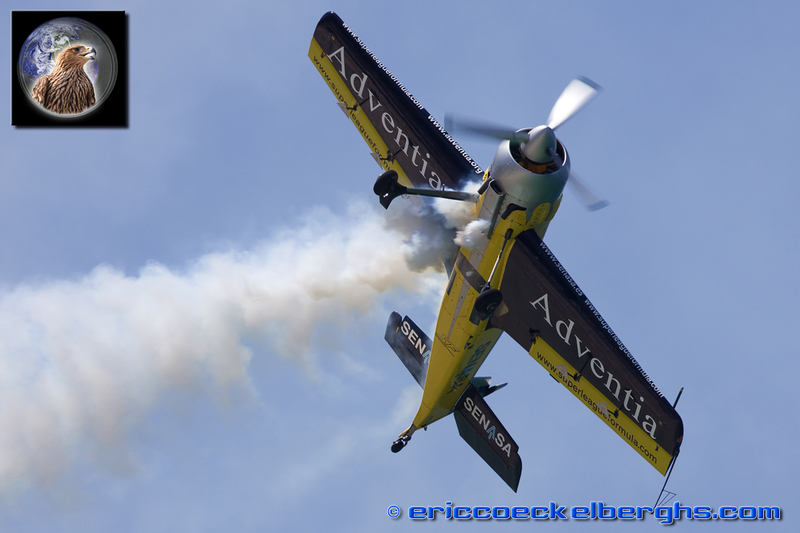 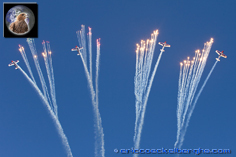 Congratulations to Pablo Gonzalez and his entire team of hard working volunteers to create such a magnificant airshow. 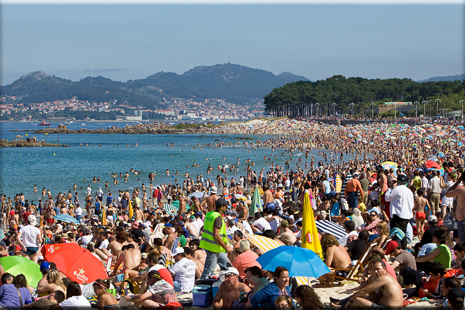 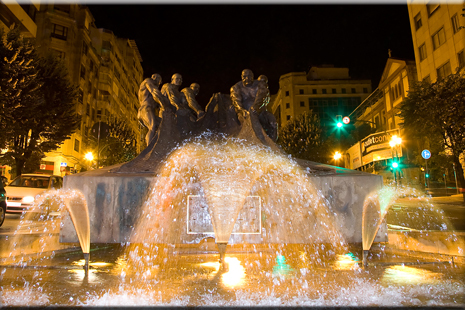 If you have no holidayplans yet for 2010, I can warmly recommend the city of Vigo to you!